Japan has an efficient public transport network, especially within its large cities. The Japanese transport system including Shinkansen (the famous Bullet Train) is characterized by its punctuality, excellent service and its cleanliness. 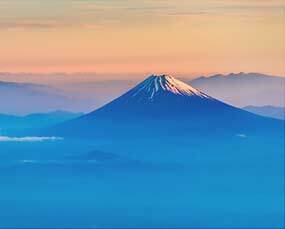 We offer a range of cheaper flights to Japan, a Japan Rail Pass to travel throughout Japan, ferry tickets to visit the beautiful islands or a Kyushu Bus Pass to the explore hidden gems of Kyushu area, a Japan Air pass for discounted domestic travel and car rental, should you wish to travel at your own pace. A Japan Rail Pass is a special ticket available only for those travellers visiting Japan from abroad as tourists. 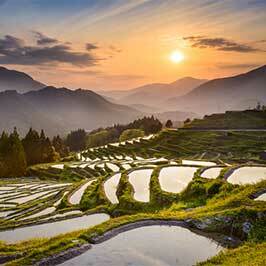 The pass offers unlimited travel on trains operated by Japan Railways Group throughout Japan. The Japan Rail Pass is only available outside of Japan so remember to buy one before you travel! 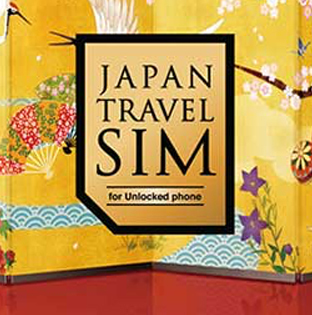 If you only need a single ticket or you need to secure seats in advance, we can arrange individual tickets before you leave your country and deliver it to your hotel in Japan. Suica is a pre-paid IC card issued by JR East to travel around Tokyo and also other major cities in Japan. It also can be used for shopping at registered shops including major convenience stores, shopping malls AEON, electronic stores BIC Camera and Yodobashi Cameras and many more. Compare and book your flight online in order to get our best deal! 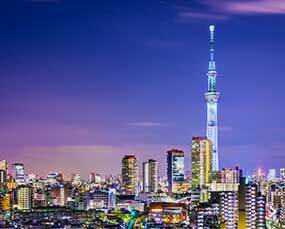 If you are flying with ANA or or other Star alliance member to/from Japan with international flight ticket, then we can offer great discounts on internal flights to any destination across Japan including code share flights. Terms applies. 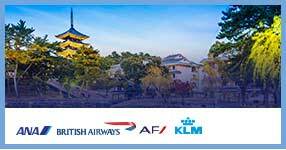 If you are flying with JAL or other Oneworld Alliance to Japan with round/open jaw trip tickets, we can arrange fantastic discounted fares, oneworld Yokoso/Visit Japan Fare, from 1 sector up to 5 sectors to any cities with -> on JL (Japan Airlines) / JC (JAL-Express) / NU (Japan Trans Ocean) flights currently served in Japan. Terms applies. If you plan to explore rural part of Japan, we recommend hiring a car and of course we can arrange a car rental for you and give you suggested self-drive itinerary. Pass is a bus pass offers unlimited travel for 3 or 4 consecutive days on almost all express coaches and local buses within Kyushu and Shimonoseki. Highway buses run mainly on expressways. There are many bus services linking cities to cities or cities to tourist sites including Takayama~Shirakago lines, Kamikochi lines, Kurokawa Onsen lines, Takachiho lines and many more. Let us help you to secure your seats. If you are looking to book a private transfer to/from airport or between cities, we can hire the private taxi or van according to your party size and number of luggage. For group travellers, we can arrange a private coach can accommodate up to 45 people with or without English speaking assistant or English speaking licenced guide. There are a huge amount of ferries operating within Japan and also to South Korea etc. We can arrange those ferries including to Yakushima, Ogasawara, Iki, Shikoku, Pusan in Korea and many more.